Reduce Holiday Stress: Know How to Set Boundaries and Keep your Family from Driving you Crazy! The holidays are meant to be a joyous time that includes parties, vacation from work, and family fellowship. For many people, though, the holidays bring uncomfortable conflict and unpleasant conversations that strain relationships. Read this nine-page resource that is designed to help you navigate stressful situations and maintain your peace and joy. ✔Confidently voice your thoughts and decisions when planning and attending family gatherings. ✔Deal with awkward relatives or unpleasant behavior. ✔Set beneficial boundaries when your family gets too close for comfort. 1. 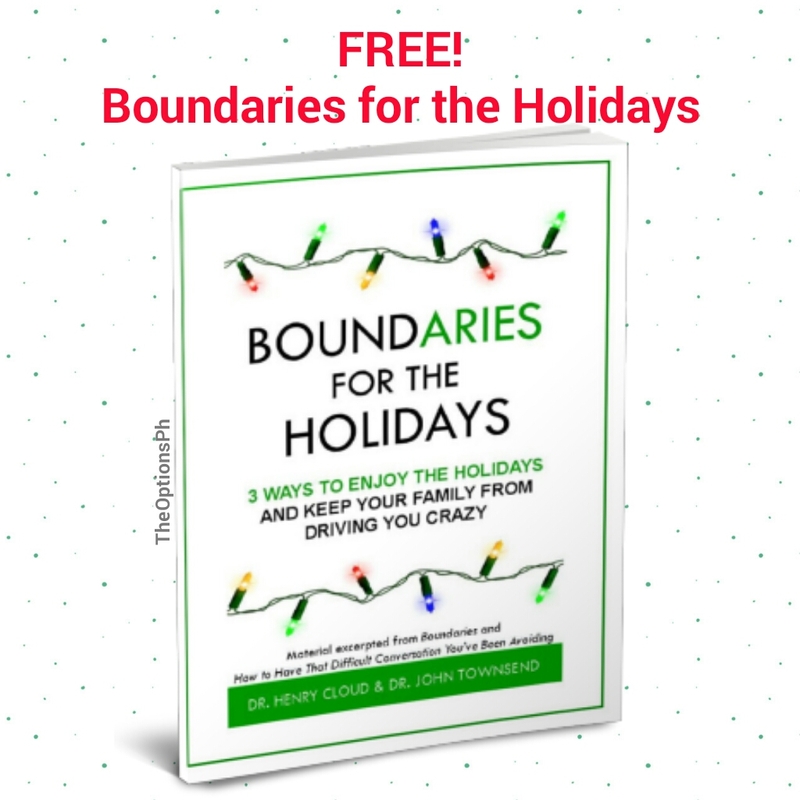 The Boundaries Sampler eBook contains 7 excerpts from the life-changing Boundaries book series by New York Times bestselling authors Dr. Henry Cloud and Dr. John Townsend. 2. Boundaries Kickstart Guide, a companion to the New York Times bestseller Boundaries. Read all three ebooks. Get it HERE!